When it comes to giving to nonprofits, many people donate online. After all, online donations are an easy way for donors to give at a time that’s convenient for them from the comfort of their own home or office. Online donations are up 10.4% over 2016 totals, according to The Blackbaud index. As our world gets increasingly digital, these numbers are likely to go up. If you run a nonprofit, you probably have online donation available to your patrons, but are you doing all you can to ensure that it’s as effective as possible? Campaign Monitor has created 12 Tips Nonprofits Can Use to Get Online Donations as an easy-to-read infographic to help nonprofits know they’re on the right track. Here are 3 tips from the infographic to help your nonprofit raise more funds. Recurring gifts are predetermined donations that are automatically given, usually once per month. The donor gives the organization permission to charge a credit card or bank account each month, much like how someone subscribes to Netflix. These monthly donations work well for people who want to support an organization but can’t make a large gift at one time. Some people prefer to spread payments over the course of a year. 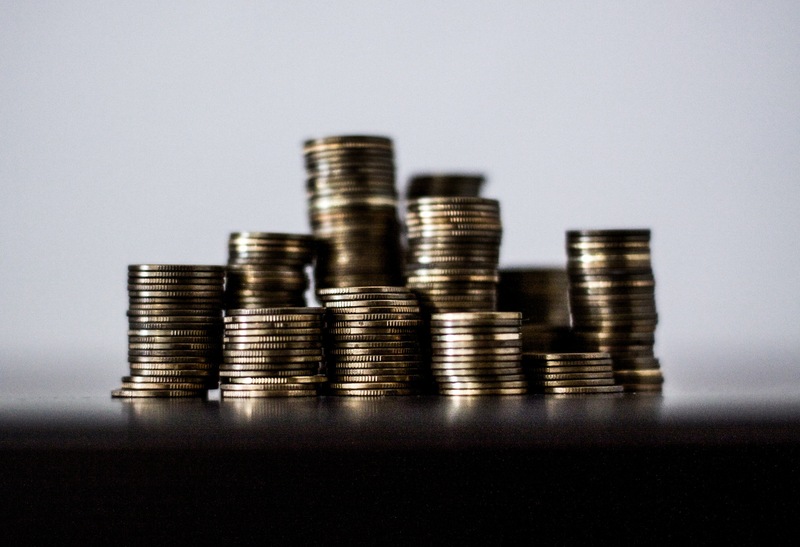 Recurring payments are also great for nonprofits. It can give you a steady flow of revenue. Plus, donors are more likely to stay involved because they have more interaction with your the organization. As someone who gives on a monthly basis, they’ll be more interested in engaging with your updates. For example, the nonprofit organization Watsi allows donors to set up a recurring donation. Each month, the donor supports a new patient. Additionally, Watsi partnered with Tencent to match donations. 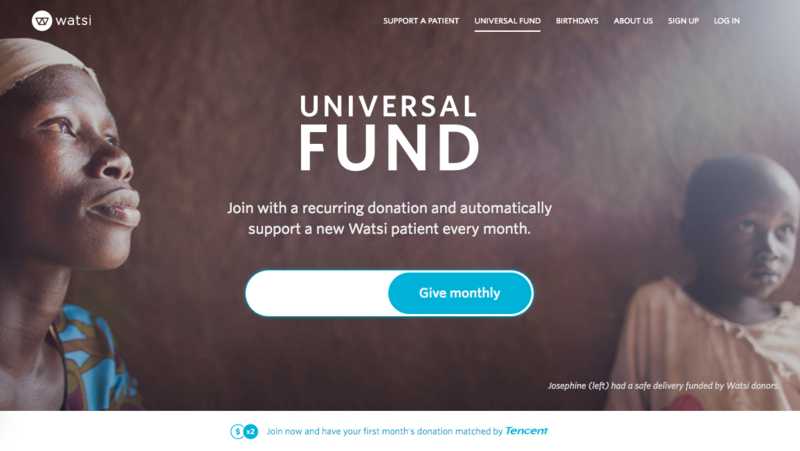 Watsi’s strategy helped the nonprofit acquire over 1,300 recurring donors. You can make donating online to your nonprofit even easier by making social fundraising a priority. Posting on Facebook, Instagram, Twitter, and Pinterest can help get your message in front of the right people. Just be sure to share fun and interactive posts, rather than constant calls to donate. Your followers will get tired of being asked to donate if that’s all you ever share, and they’ll stop paying attention. Share fun stories, behind-the-scenes photos, events, emails, or videos. 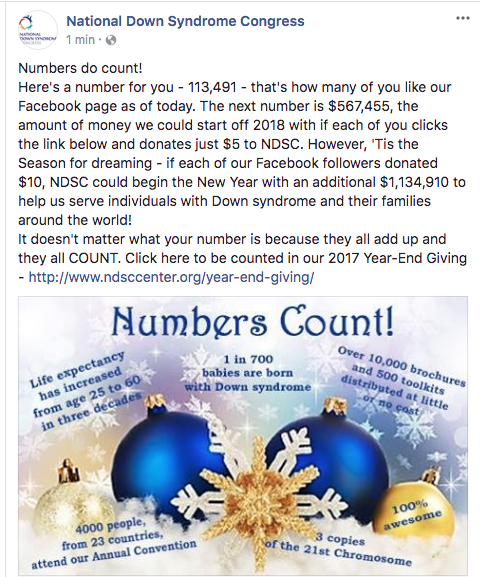 For example, The National Down Syndrome Congress uses Facebook to share different stories and occasionally asks directly for donations. Most social platforms have special accounts for nonprofits, and some, have donation tools too. Facebook has the option to add a donate button right in a post, making it really easy for your followers to give. But any of these social platforms can work for getting the work out about your organization and asking for a donation. 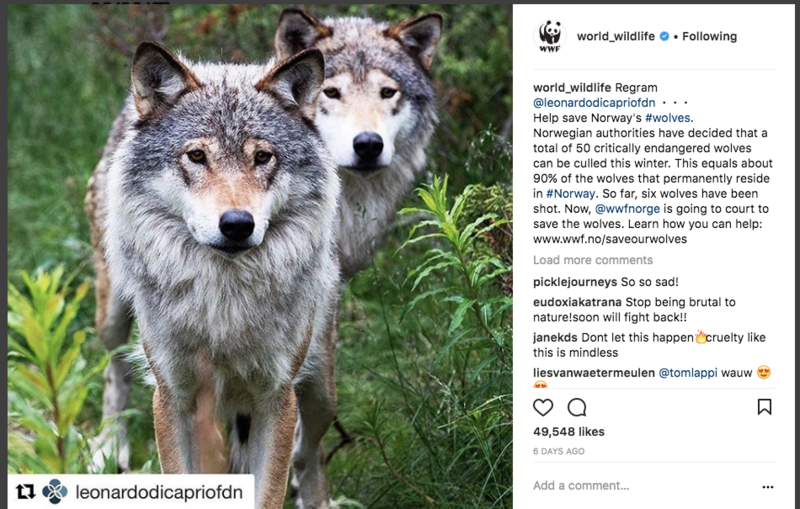 In general, if you ,ake your social accounts interesting and engaging, you’ll find more people wanting to donate to your nonprofit. Email marketing is a great way to stay fresh in the minds of your donors and volunteers. An email inbox is a personal space– if you can send messages that subscribers want to read, you’ll have a good chance of finding your way into their hearts. Sending monthly newsletters, event invitations, and fundraising emails are some of the ways to keep your followers up-to-date on what’s happening with your organization and remind them what you do. Each email you send should include an online donation button, as you never know when someone will be ready to donate. SF Marin Food Bank has a big donation button in their email, as well as social media buttons and their own hashtag to use on social. Remember that yours emails should be mobile-friendly. With more emails being opened on mobile devices, your emails need to work on any size screen your readers are using. Including a donation link or button makes it easy for your email readers to donate online anytime they like. 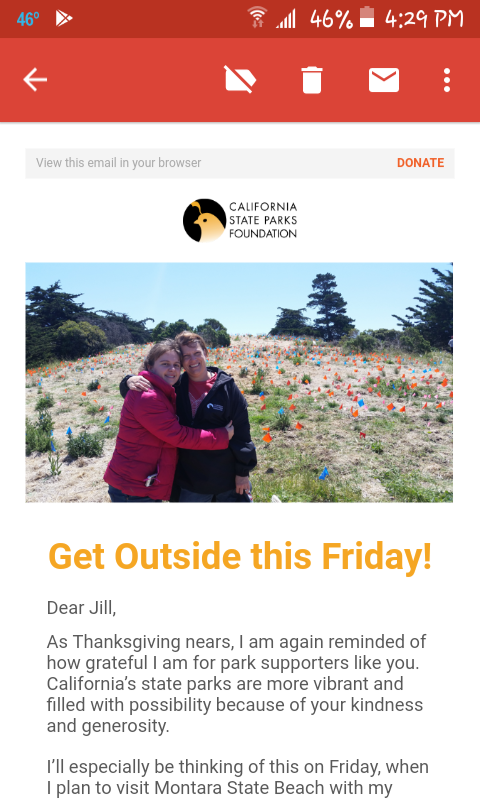 California State Parks Foundation has a great mobile-friendly email and an easy to see donate button right at the top. Whether your nonprofit has been accepting online donations for a long time or it’s just getting started, these 12 Tips for Online Donations can help keep funds coming in. Using email marketing can help keep your organization in front of donors and volunteers all year long. And being top of their mind, and hearts is exactly where you want to be. Recurring gifts are indeed powerful. I work for GivingTools.com, and one aspect to our GivingTools platform that is pretty exciting is the ability to give via ACH (bank account) for a 25¢ flat fee, regardless of how much a person gives. That trims fees a lot (one of our clients told us it would enable them to save an additional child from homelessness each year!). Then, we let the donor cover the fee, if they choose, which brings processing to a zero expense for the nonprofit. (It also shocks the giver, when they see how low the rate was to begin with!). Then, we offer a “Sustaining Supporter” appeal type that enables folks to give on a recurring basis indefinitely. Five $5 per week, whatever. Combined, these features really leverage the power of recurring giving. Of course, we offer lots of other appeal types and payment methods as well. But a Sustaining Supporter appeal funded via 25¢ ACH is my personal favorite!